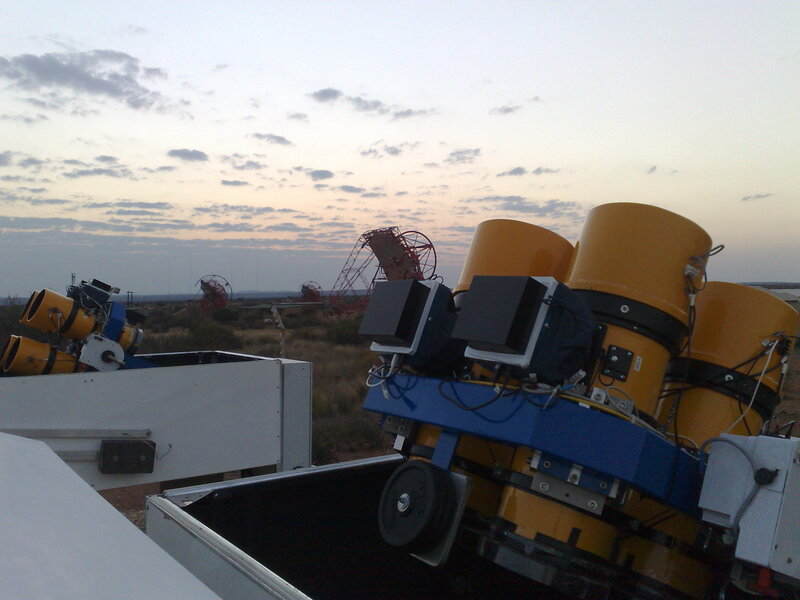 HATSouth is a collaboration among the Max Planck Institute for Astronomy, the Princeton University, the Australian National University, and the Pontificia Universidad Catolica de Chile. 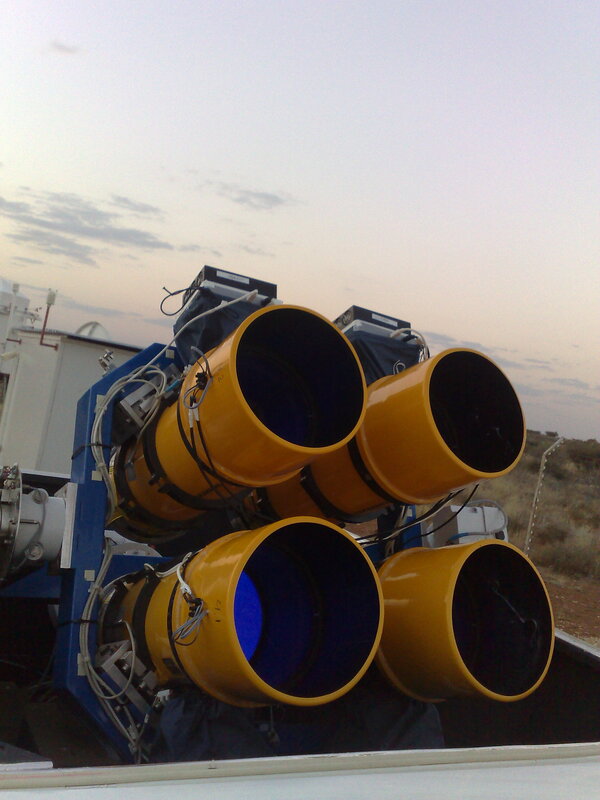 It consists of a network of six identical, fully automated wide field telescopes, located at three sites (Chile: Las Campanas, Australia: Siding Springs, and Namibia: HESS site) in the Southern hemisphere. Each of the three sites operates two HATS units, for increased sky coverage and redundancy in case of failure. Each unit is composed of a suite of four 0.18m f/2.8 Takahashi hyperbolic astrographs, each incorporating an Apogee 4K×4K CCD detector with Sloan r filter, and each spanning a 4°×4° field of view. This means that every HATS instrument has a mosaic field of view of 8°×8°, so each site monitors 128 square degrees of sky. 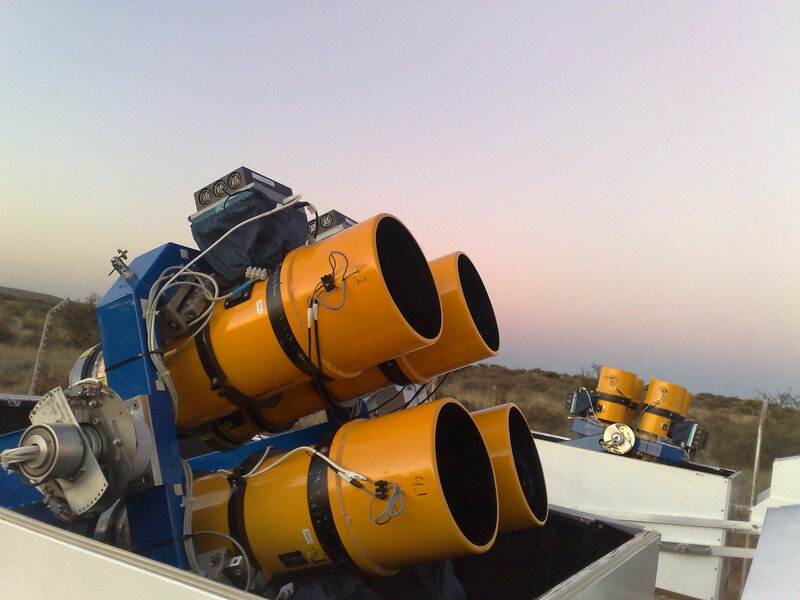 The primary purpose of the project is to detect and characterize a large number of extrasolar planets transiting nearby bright stars. 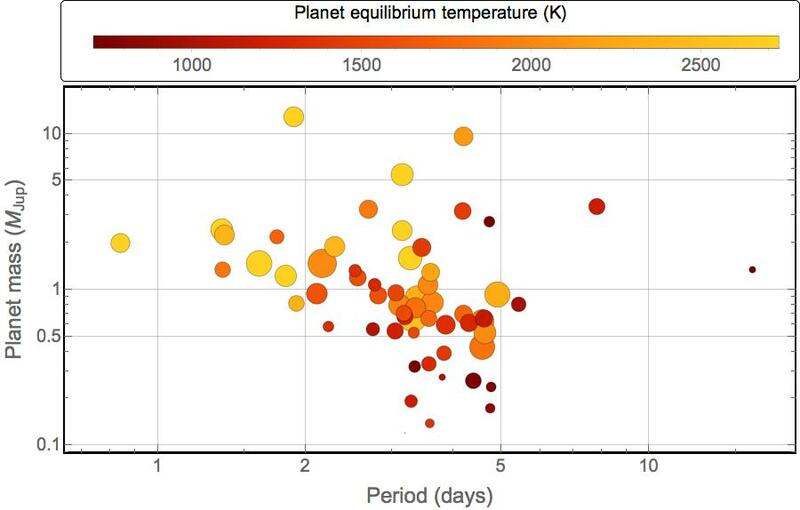 The three sites permit near round-the-clock monitoring of selected fields, and the continuous data-stream greatly enhances recovery of planetary transits. by G. Bakos et al. 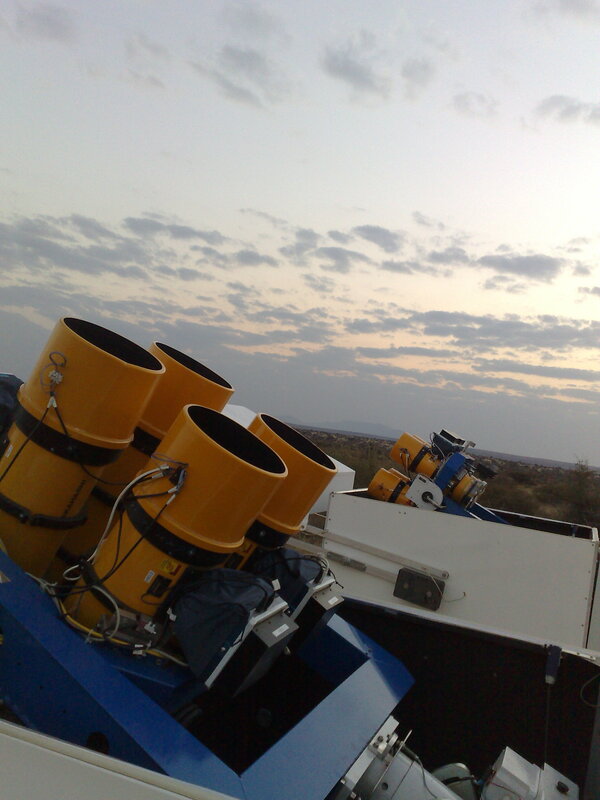 Two of the HAT-South telescopes are located in the HESS site, which is located in Khomas Highland of Namibia, on the Farm Goellschau, about 100 km south-west of Windhoek, Namibias capital.